The Friends Forever Missionary Fellowship was begun in 1995 as a non-profit 501(c)3 religious education organization called Mark Muirhead Ministries, Inc. (aka MMM). During 2010 the organization's name was changed to reflect the broadening of its work and mission. Your tax-deductible donation today will help sustain and continue the outreach of Friends Forever. 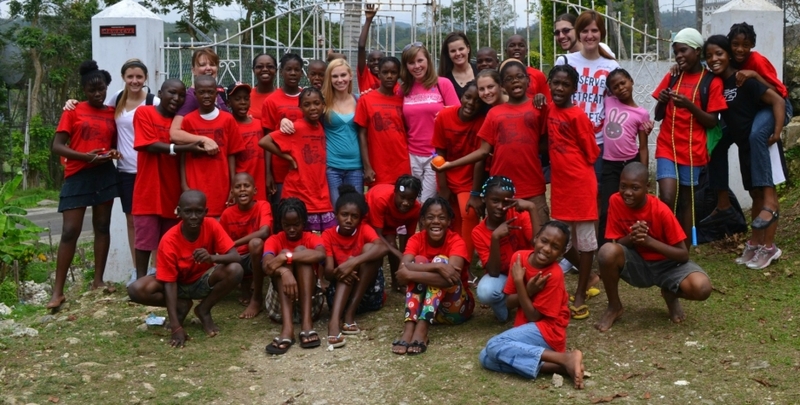 We ask you for help to #shareGodslove to personally touch young friends overseas in #ilovejamaica. Plus keep us 'on air' through our 14 cable TELL-A-VISION channels in Jamaica and Guyana, South America. We share 'Good News' 24/7! Recent picture when #FFTV brought international friends together in Anchovy, Jamaica and Southeastern University from Lakeland, Florida! Here is some sight and sound from where the Southeastern friends spent time in Anchovy #ilovejamaica, at what we call the Christmas Coffee' Yaad! PLEASE NOTE: At the end of the calendar year you will be issued a giving statement by this ministry in compliance with the Internal Revenue Service before or by the 31st of January (the next month).